When you are looking for a diamond ring, earrings, or any type of jewelry you first need to know how much you are willing to spend. Most people think that diamond has one price per weight, but it is like silver and gold where you have different fineness. You can find them relatively cheap, but it won't look the same as you can see on TV. Most of the celebrities have high-quality ones. A lot of factors matter when you are buying them like clarity and shape. Depending on the budget, your diamond may look cloudy with some imperfections. It will still look good, but compared to ones with higher quality, you can easily see the difference. Always do your investigation about a certain shape, cut, and type you want, and ask friends to refer you a shop. 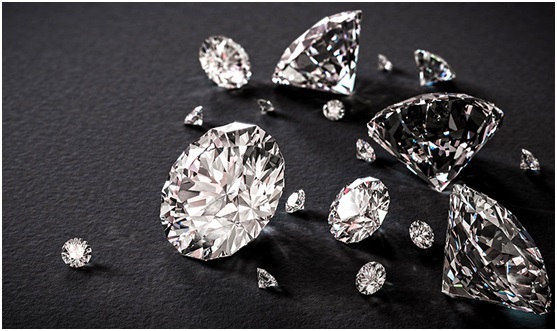 If they don't have much experience, there are many ways that you can find for information online like this link: https://diamore.be/i1-included1-diamonds/. To know what clarity is, you need to know how diamonds are made. All of the supplies we have in the world are actually billions of years old and still, only the rarest of them emerge in great condition. Most of them you can find in stores, after they are processed, have varying amounts of surface blemishes and internal inclusions. Clarity is how we measure the visual appearance of every diamond. The grade rises as fewer blemishes and inclusions they have. Some of the imperfections can't be noticed easily, but still, they can impact the value a lot. If you want to order them from worse to best, it would be: Inclusions 2 (I2), Inclusions 1 (I1), Small Inclusions 2 (SI2), Small Inclusions 1 (SI1), Very Small Inclusions 2 (VS2), Very Small Inclusions 1 (VS1), Very Very Small Inclusions 2 (VVS2), Very Very Small Inclusions 1 (VVS1), and Internally Flawless (IF). Read more about here. In order to grade it, you need to have a microscope that has 10x magnification glass. To identify some inclusions you will need more than 10x. There are 5 factors that have an important role in how the clarity standards are determined. Five factors are the relief of the inclusions, location, number, nature, and size. The size is crucial because larger size means that inclusion will have a bigger effect on the grade. When they say that nature is bad, they actually mean that the type of inclusion isn't valuable. When there is something only on the surface, it is referred to as blemish. The number is referred diamonds with the presence of many different clarity features. The location of inclusions is very important because if they are located towards the center, you can expect the price to be much lower. When you focus your attention past the culet and there are inclusions, it won't impact the price that much. If the relief is higher, that means the color will be darker which suggests that the price is lower. With a slightly fuzzy or blurred appearance on the diamond, at the girdle area, you can find bearding. When the crystal has irregular growth, you can expect graining that appears as reflective, colored, or white lines. Depending on the minerals in the diamond, there can be cavities that are colorless. The cavity can also be colored which can be seen by the naked eye. Small cracks within it are called feathers. The number of possible inclusions is small. If you want to invest a lot of money, then it is better to let experts handle it, or give you a piece of advice. They will better determine which type of inclusions and imperfections there are. When you try to see the inclusions with a microscope, it doesn't mean you will know which is which because they are not equal. Some inclusions are completely clear and some are shiny. You can find stark black ones and completely white ones. There are some that are pushed on the ends and aren't noticeable. The size of the inclusion is usually taken into account for clarity grade. Position, opaqueness, and color are rarely considered. With this being said, it is hard to make the correct value.